A young lady in her Mid twenties have been exposed to the monsterousness of a gas explosion at one of Wa’s popular Bread bakery Units. The Lady by Name Kadija was Burnt Beyond Recognition and left to the mercies of faith as she struggles in her roasted condition in a room for life without medical care or examination. kadija is an employee at Midway Bakery in Wa . 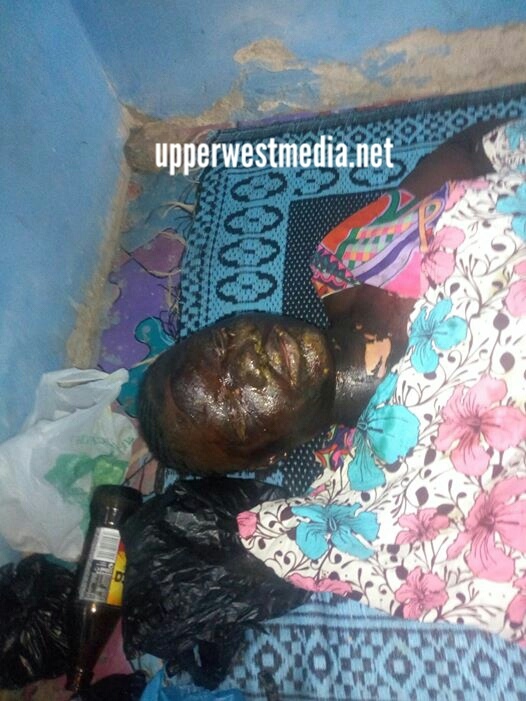 She was burnt by gas in an explosion on the 11th of December, 2018. Her employer (Midway Bakery) has refused to send her to hospital for medical attention. Radio Progress visited Kadija on Friday to get details of the story and has since followed it up to Upper West Regional CHRAJ Unit where immediate steps were initiated to save the life of Kadija. However, as at Sunday the 16th of December, 2018 our checks indicated that poor Kadija was still left in the house of her employer with her body smired with concoctions in the same state of serious pain. upperwestmedia.net is monitoring the issue keenly. December 17, 2018 in Local News.